It’s Ode to Audiobooks this week! 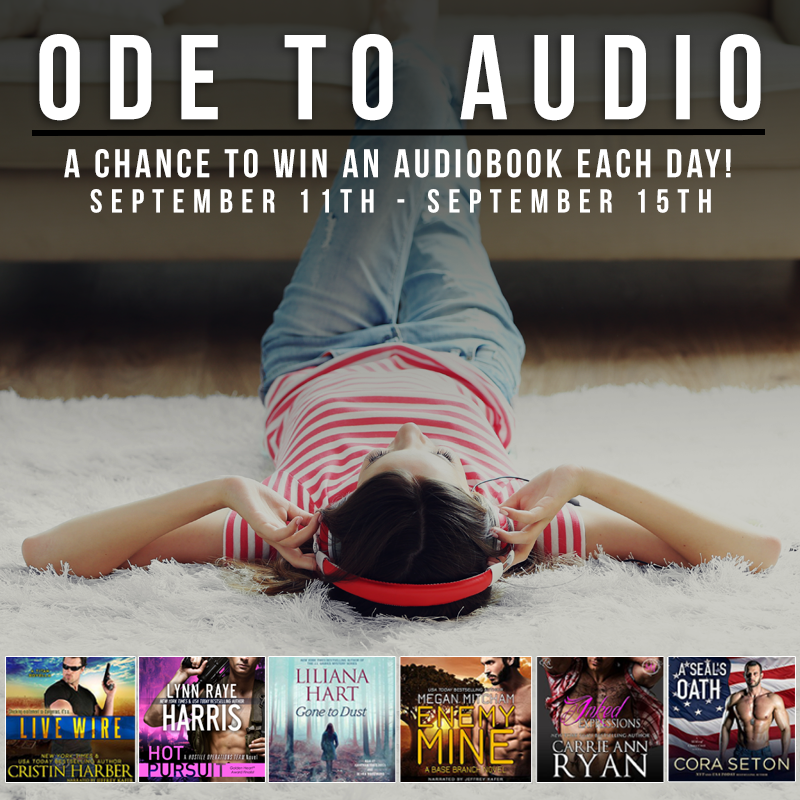 I have great giveaways from my favorite authors plus Titan audiobooks, and two audiobook listening subscription plans to hand out as well. If you’re new to listening to romance novels read out loud, come on over and try a sample and maybe win a great story to test the waters. 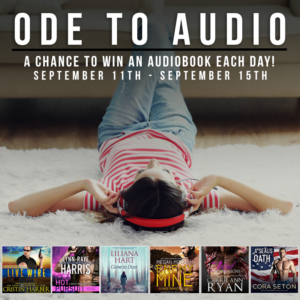 If you already know how terrific audiobooks can be (laundry is a breezing, traffic no longer stinks, reading with a headache won’t kill you…), then consider this an opportunity to win a free audiobook. I have 6 copies of LIVE WIRE , copies of my an audiobook from each of these fan-freak-in-tastic authors (Lynn Raye Harris, Liliana Hart, Megan Mitcham, Carrie Ann Ryan, and Cora Seton), plus a chance to win a one month membership from audiobook.com and a 3 month subscription from Audible. Soooo…. How Do You Sign-Up? Easy first entry: fill out the form below. Then connect with me on Facebook and social media to participate on posts where you can like, comment, and share to have extra chances to win. Come join the fun and listen to audiobook samples, narrations, answer questions about your favorite narrators and scenes while sharing your favorite audio picks.